Harley-Davidson’s first entree into motocross was a byproduct of the marriage of Harley, Aermacchi and AFM. When parent company AMF asked Harley to enter the growing motocross market, Aermacchi was a reliable source of two-stroke engines. 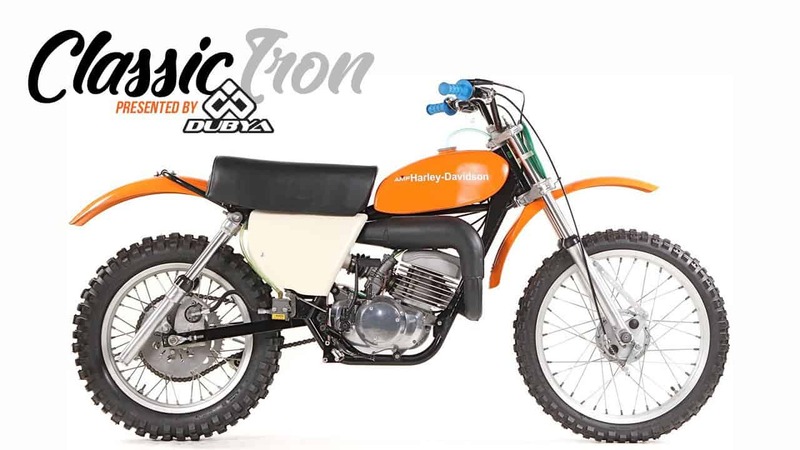 At the 1974 Omaha 250 National, Sonny DeFeo debuted the first Harley-Davidson MX-250. Only 65 of these bikes would ever leave the Milwaukee factory. The 242cc Aermacchi-built engine was housed in a chromoly frame, built by Champion, and the whole package hit the scales at 212 pounds. 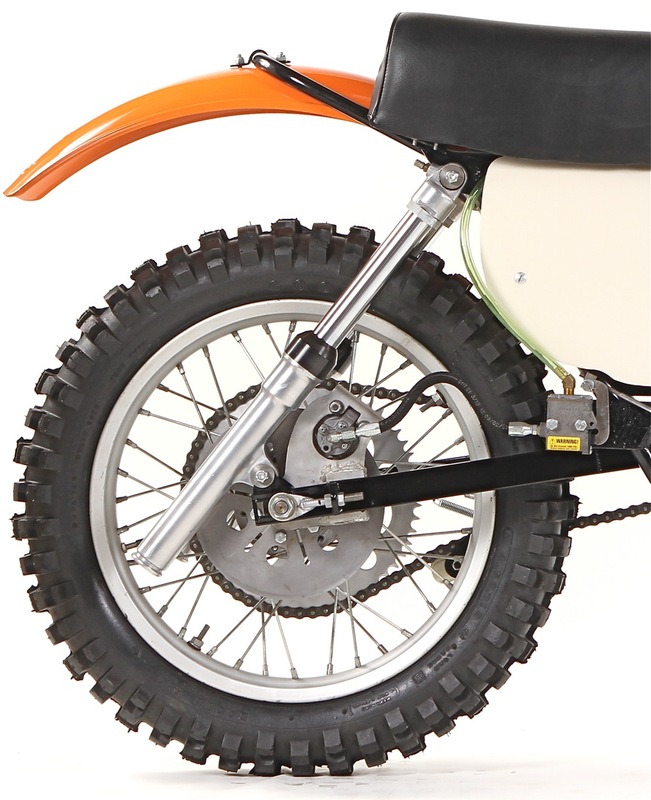 The MX-250 used Showa forks and Kayaba fork-style rear shocks. The front hub was from a Yamaha, while the rear wheel housed an Airheart disc brake powered by an H&H caliper. Other components included K&N handlebars, Oury grips, Magura controls, Sun rims and Buchanan spokes. The Aermacchi engine actually made good power when mated to a 36mm Mikuni carb—although some engines came from Italy with Dellorto carbs. The expansion chamber was silenced by a pickle-style muffler, both of which would break or fall off with regularity. What was the bike like to ride? It wasn’t fast, but it had good low-to-mid that required short-shifting. Most test riders claimed that the fork-like rear suspension was surprisingly good, and that the Showa forks were very good. Some MX-250 racers took the rear disc brake off and mounted a Yamaha hub with a drum brake instead. There was no motocross success, but Bruce Ogilvie won the 1975 Baja 500 on an MX-250. Production was halted in 1975, but Harley would try again with a new bike in 1978. The new MX-250s were raced by Marty Tripes, Rich Eierstedt and Rex Staten. Harley’s motocross effort ended in 1979 and was never started up again. 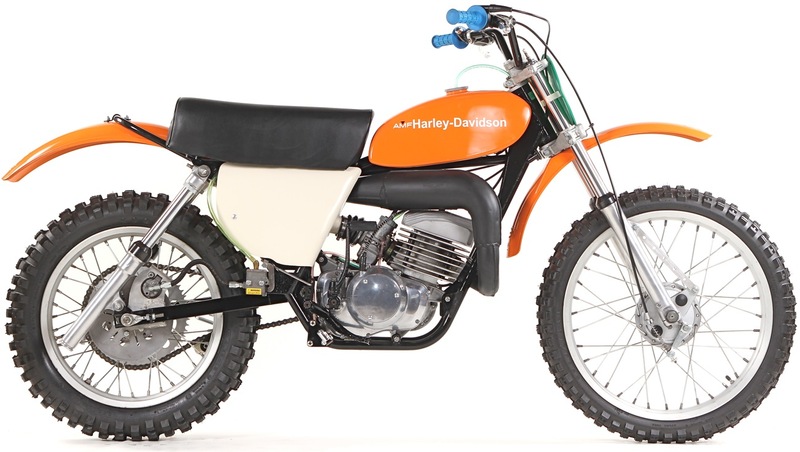 Because the 1975 MX-250s were only available at select Harley dealers and nominally priced at $1375, the 65 examples of the MX-250 are very rare and very valuable to serious MX collectors. The Early Years of Motocross Museum values this near-perfect example at $15,000. This was the only Harley motocross bike to this point. There were no 125 or 500 versions. 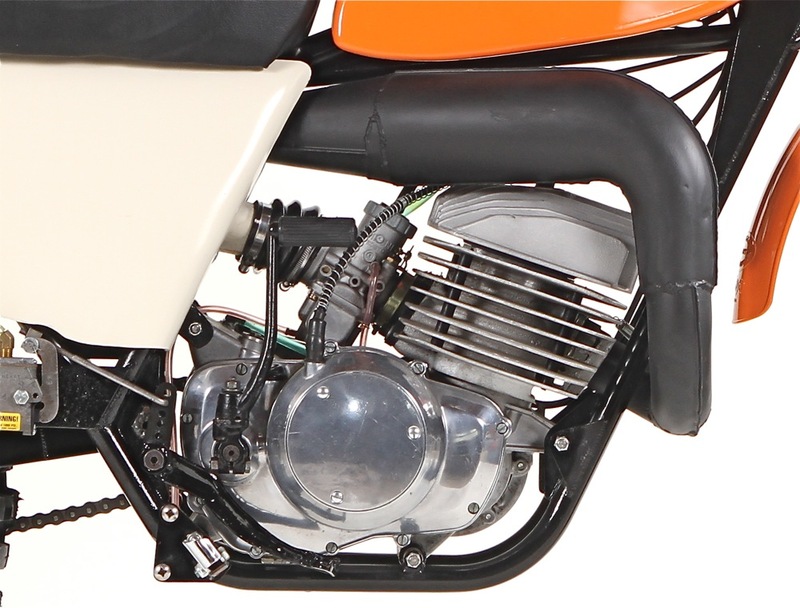 There was a second Harley-Davidson MX250 in 1978, but it was also a sales failure. Parts for the engine can still be found from the supply of SX250 trailbike engines. What is unobtainable is the Champion frame with its square-tube swingarm and Kayaba (labeled as Red Wing by Harley) rear forks/shocks. The Showa forks, their cast triple clamps and the Hurst/Airheart rear disc brake are also scarce. It’s a huge bonus if the Preston Petty “Mudder” fenders are in good shape!